During summer, most school-aged kids access additional academic programming through their school, but when a child is homeless, and not yet enrolled in a school, there are few ways for families to get connected. 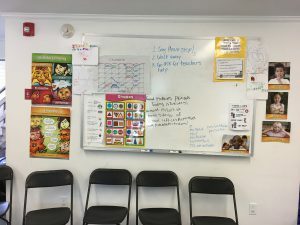 To address this disconnect, Portland Public Schools, and the Portland Family Shelter created the Summer Learning Camp with aid from Starting Strong funding. Families staying at the shelter are often from foreign countries, making it difficult to understand the culture of school when their children first start. Carol Ridlon, along with program coordinator Angela Atkinson Duina, realized by offering summer programming, which in many ways mimics a school day, these families would gain exposure to the school environment –most importantly adjusting to the social-emotional components of education. “We strived to make every minute count,” said Angela. From the moment parents dropped off their children, teachers like Amy Reed aimed to provide the experience and consistency of a normal school routine. Every day nearly 25 kids gathered for morning meeting where they patiently interacted with teachers and their peers. 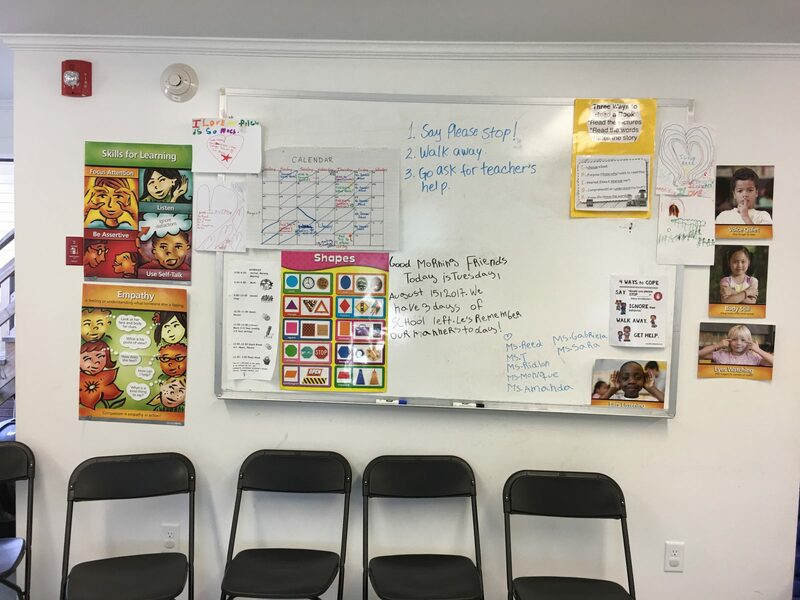 Amy emphasized that, “consistency is key” to ensure that children and families become comfortable with the educational environment, expectations of a class routine, and the community resources available to them. “The program met the families where they were,” says Carol. Thanks to Starting Strong and school district funding, language facilitators allowed the staff to foster positive, supportive relationships with the parents by initiating casual morning conversations that added a level of comfort often not available to parents who do not speak English. As Angela said, “we wanted to give these families an expression of the welcoming spirit in Portland and the schools.” Through the language facilitator, social worker, ed tech, and teacher, the Summer Learning Camp achieved this goal. After six weeks, teachers noticed kids were more patient and understanding of a routine and learned to control their bodies during longer lessons. They began to use clear, confident voices. Above all else, the kids were excited to arrive each morning. “The entire team was so valuable for this program, without each of the roles we would not have been this successful in setting up families for success in the education system,” says Angela. The funding for this pilot program allowed an urgent need to be exceedingly met and we believe the children who participated started class this fall more prepared, trusting and comfortable.